I’ve recently been touched by the kindness of fellow bloggers and those who read this blog. 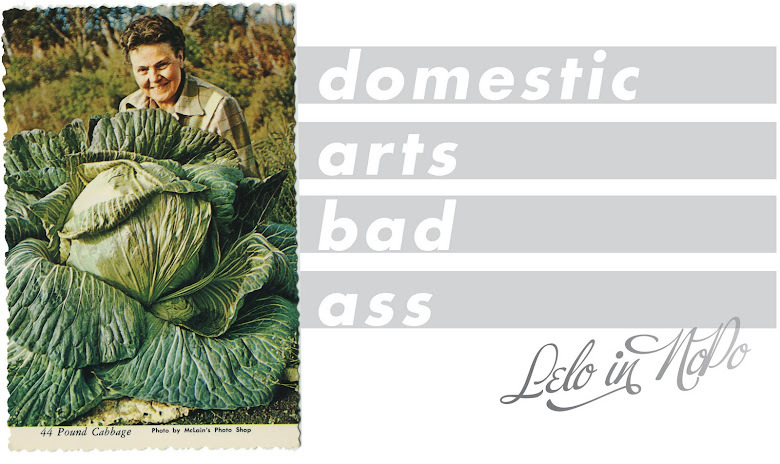 Some of it I’ve blogged about, some I haven’t. And I really need to. 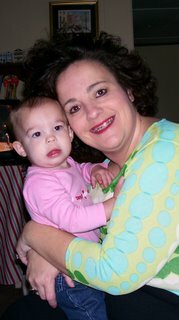 So for the next couple of days, I’ll share little stories about the glimmers of sweetness and wonder this blog brings. After the Little Red Bike Cafe connection wonders, I received the sweetest invitation from a blog reader: to come in for a pedicure on the house and talk blogs. Sweet. I love a good pedicure, and I’ve been meaning to check out Trixie’s for months. 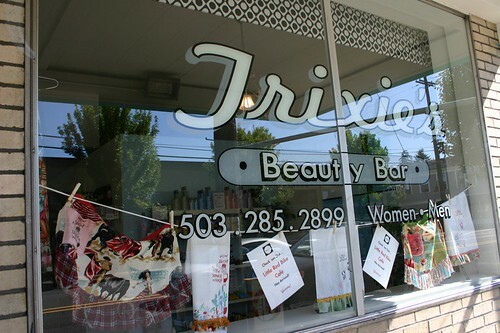 Just around the corner from me and next door to Little Red Bike Cafe, Trixie’s Beauty Bar obviously had a great design aesthetic and looked fun. And a free pedicure? Hells to the yeahs. 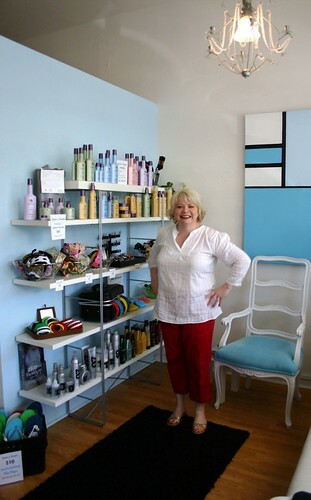 I got to meet the ladies at Trixie’s in their adorable space, including Jodi and Tracy, and can I just say how much fun they are? Fun. It’s a little place, but the kitsch design and color and just good energy fills it with good times. I popped in yesterday for a refresher on that pedicure and talked nonstop with my peeps there: neighborhood, Britney Spears VMAs debaucle, gun control, fashion, you name it. My toenails are now a delightful shade of deep purple, coated with formaldehyde free polish (if I buy organic produce why would I coat my body with formaldehyde?!). 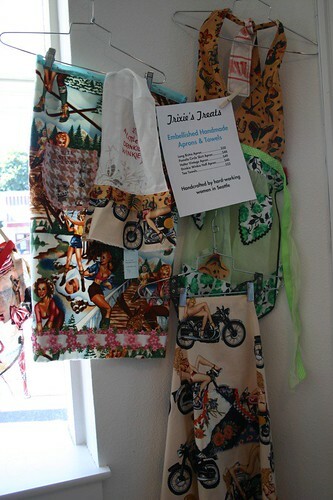 Oh, and you should know they sell a little handful of fun products, including the best retro aprons. I love watching new businesses popping up in the neighborhood, built by local folks and tended to with lots of joy and passion. Spending some time at Trixie’s is catching up with friends and taking care of yourself and community building all at the same time: shout out to my girls at Trixie's Beauty Bar. What? No photo of your formaldahyde-free pedi? I double dare you to post it on Flickr. I need to check out both Trixie's and Little Red Bike! Finally got to Little Red Bike today. Had a great sandwich and was evan able to get something that my choosy camerado will eat--what a feat. Enjoyed the tidy, fun interior. They even complimented me on my own blog! They invited me to post a notice about my upcoming art show at Q Center. Saw two old friends outside. Made a new friend and had quite a pleasant chat. Wonderful! 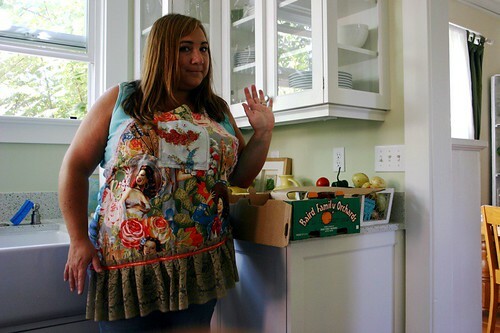 I love the apron too. I always support the local small business when I can. So worth the extra $ you have to spend. I think you should have your purple toes featured on PurpleTwinkie's site. Maybe his header for the month. I'll have to stop by Trixie's for a pedi soon.